This stunning 3 Bedroom 1,095 sq ft thirteenth floor South West & South East facing apartment boasts an impressive 155 sq ft balcony, a beautifully integrated kitchen, 3 double bedrooms with fully fitted wardrobes and 2 en suites as well a bespoke bathroom. The aesthetic is inspired by classic 1950s American design which manifests itself through the creative use of space, materials and detailing. Generous spaces and floor to ceiling windows together with materials such as marble and walnut parquet flooring quietly impart quality and class, reinforcing the sense of solidity and enduring good taste. Embassy Gardens is a 21st-century development on the South Bank of London, looking across the River Thames to Chelsea and Kensington. With its own green space, art trail, shops, restaurants and cafés, Embassy Gardens offers residents and their guests the complete London experience in the centre of the city. All Embassy Garden residents gain exclusive membership to the Eg:le Club which grants our residents and their guests access to the Sky Deck with Sky Pool and Orangery rooftop bar, Maureen o'Hara private cinema, Belmont Gym and so much more. 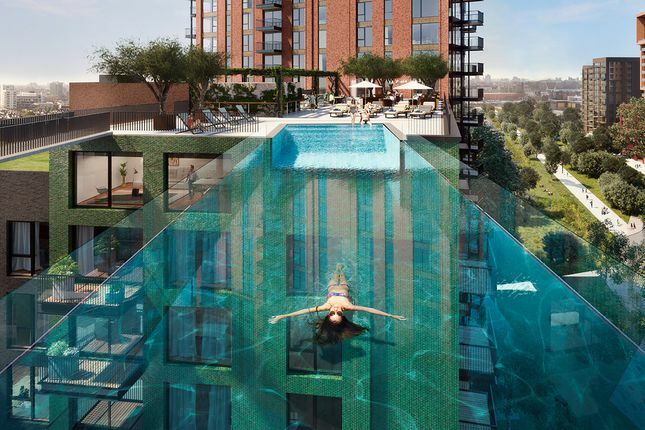 In 2018 residents at Embassy gardens will be able to float through the air in the world's one and only Sky Pool. Spanning the Embassy Gardens' Legacy Buildings, the Sky Pool is the world's first 'floating' swimming pool. Once installed, the 25-metre long acrylic pool will allow members of the development's exclusive Eg:le Club to glide between buildings 35 metres up in the sky. 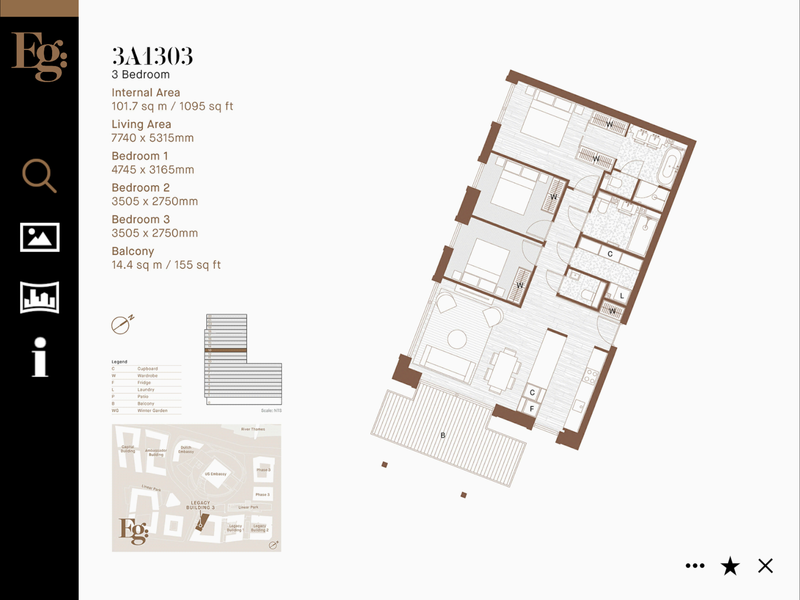 Property descriptions and related information displayed on this page, with the exclusion of Running Costs data, are marketing materials provided by Ballymore - Embassy Gardens, and do not constitute property particulars. Please contact Ballymore - Embassy Gardens for full details and further information. The Running Costs data displayed on this page are provided by PrimeLocation to give an indication of potential running costs based on various data sources. PrimeLocation does not warrant or accept any responsibility for the accuracy or completeness of the property descriptions, related information or Running Costs data provided here.